This week pregnant stars Beyonce and Ciara continued to glow, Jhene Aiko celebrated her birthday and Drake and Nicki took Paris by storm. 1. 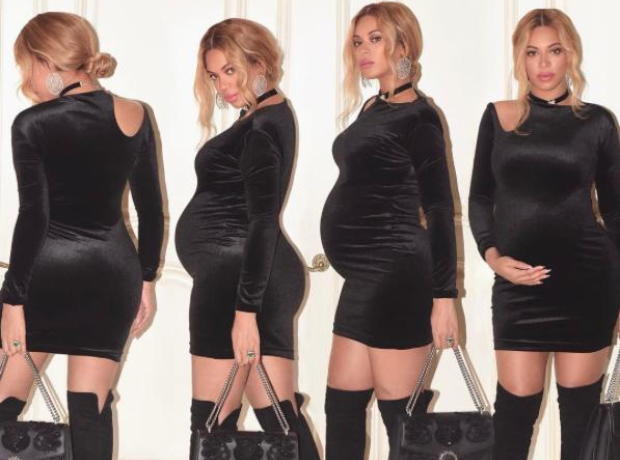 Beyonce sparked rumours about the gender of her twins with a new pregnancy photo. 2. Snoop Dogg linked up with Desiigner after one of his shows. 3. Drake and Nicki Minaj shared a moment on stage after she joined him in Paris. 4. Rick Ross and Chris Rock met up in anticipation for Ross's new album release. 5. Justin Timberlake celebrated with Jhene Aiko and Big Sean for the R&B princess's birthday. 6. Chris Brown relaxed by his lavish pool on a day off. 7. Kim Kardashian posted a throwback picture of her parents of sister Kourtney. 8. Nicki Minaj strutted her stuff with her long hair in tow. 9. Heavily pregnant Ciara got to work in the studio.